Want to see some awesome rainbowy goodness, of course you do! We finally got a sunny afternoon, so I pulled out the Halo Hues for some sunshine action. 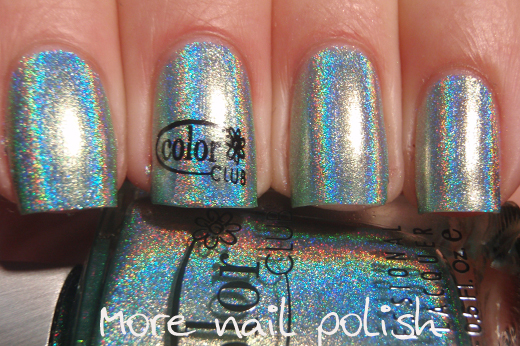 The Color Club Halo Hues collection really does not disappoint in the holo department and I have three of them to show you today. These polishes were kindly sent to me from a new Melbourne based Aussie etailer - Maconii Collection. 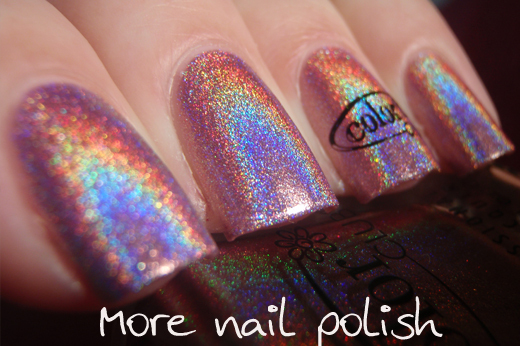 They are selling a range of polish brands including Color Club, Glitter Gal, JOSS, Nfu Oh and OPI. They have some of the discontinued Nfu Oh flakies if Aussies are looking to get them locally. 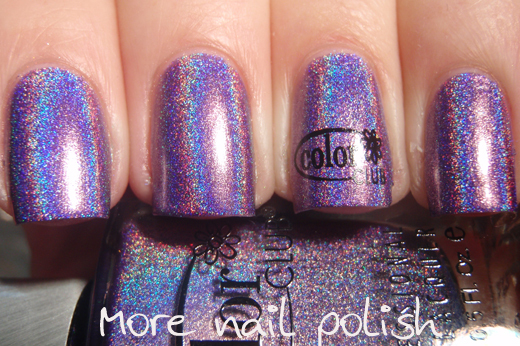 The Color Club Halo Hues polishes have been around for a while, so I'm not going to go into much detail about how fabulous they are. 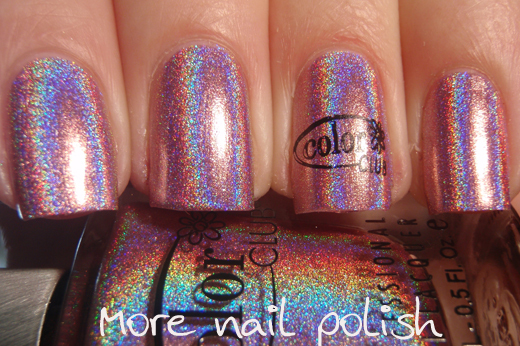 These are some of the best holo polishes available in my opinion, right up there with the Dance Legend holos. 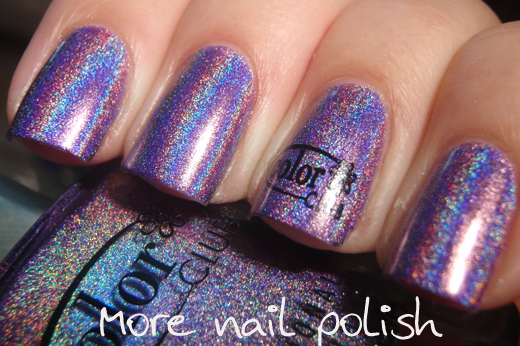 The formula is fantastic, the opacity is great and the holo kicks arse! 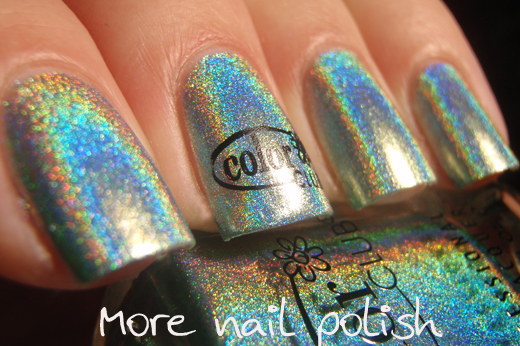 Angel Kiss - pale green uber holographic polish from the 2012 Halo Hues. 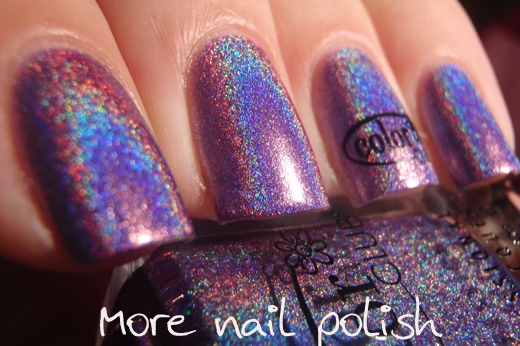 Eternal Beauty - a bold and darker purple linear holographic from the 2013 Halo Hues. 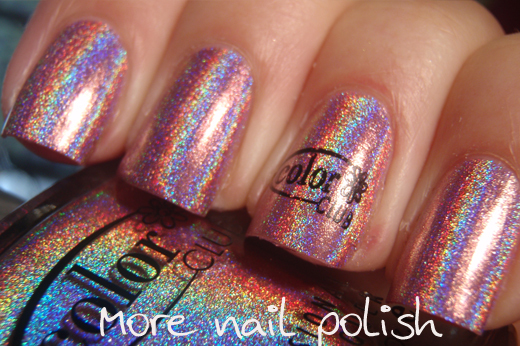 Halo-graphic - pale pink strong linear holographic from the 2012 Halo Hues. 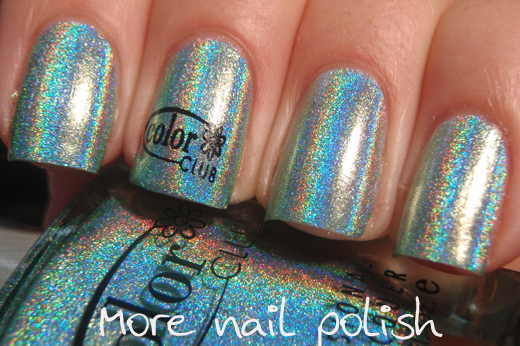 So did you notice the totally awesome Color Club brand stamp? Well of course you did - Der! 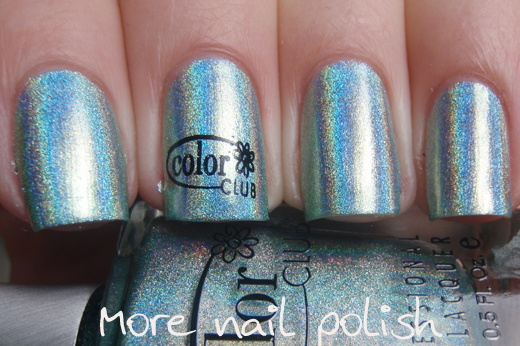 The Color Club brand stamp is from Fab Ur Nails FUN plate #12. The plate it totally awesome and has nearly 50 polish brand names on the plate, as well as a bunch of other cool designs. I purchased mine as a pre-order back in June directly from Fab Ur Nails, but Llarowe is now stocking this brand of plates (although I don't see plate #12 on her site). 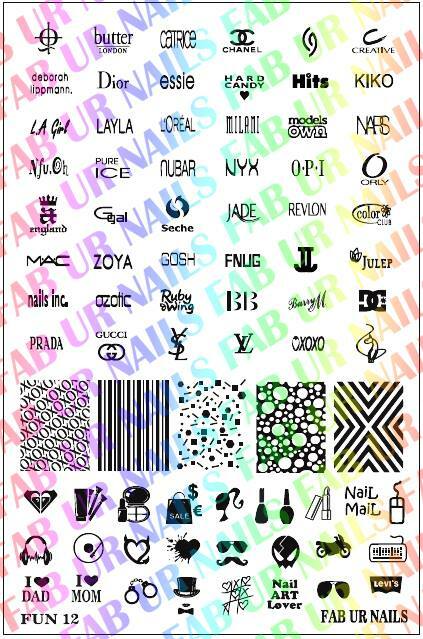 I think you will be seeing me wearing the brand name stamps quite a bit - I'm such a sucker for gimmicky stuff like this! Stunning! I'm in lurve with eternal beauty! Can I justify ANOTHER purple polish!!? The stamp is a great idea!